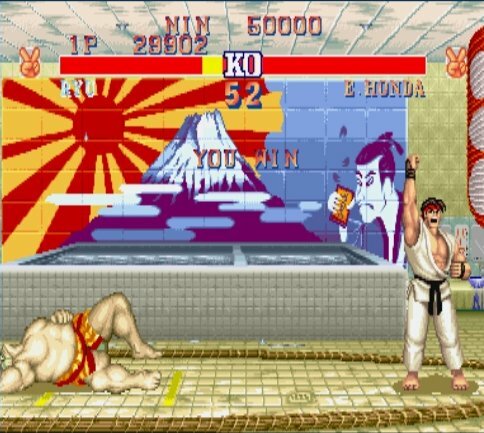 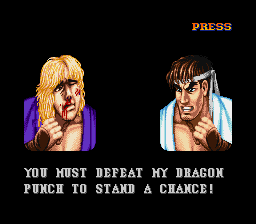 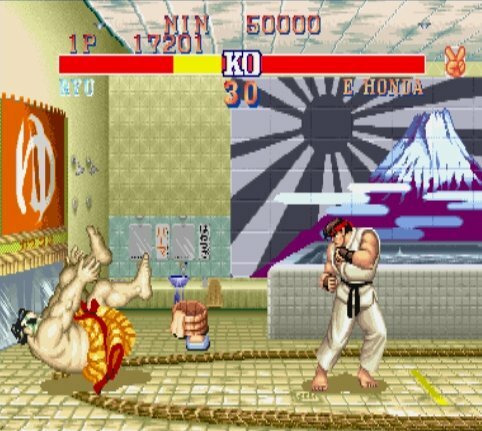 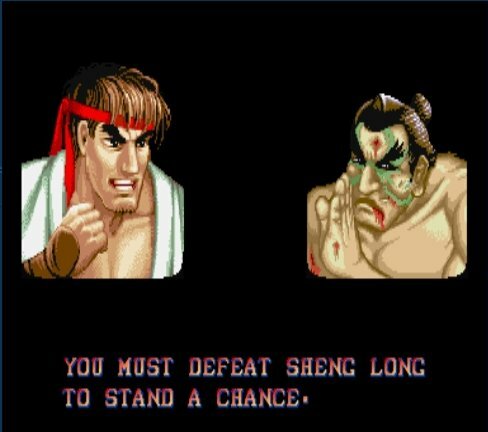 REVIEW: Wisely, Capcom didn't stop with just one "enhancement" to the arcade phenomenon known as Street Fighter 2. 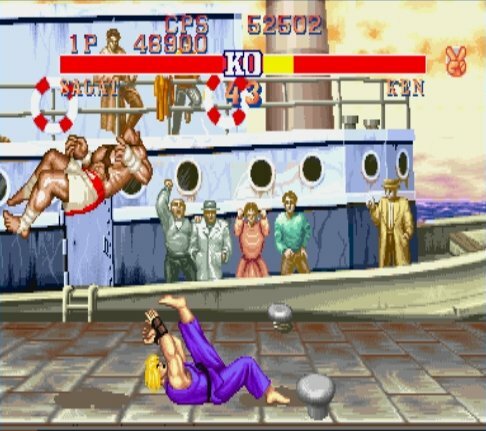 Seeing as both Street Fighter 2 and SF2: Champion Edition were massive hits at the arcade scene and on consoles, of course Capcom gave fans more of what they wanted. 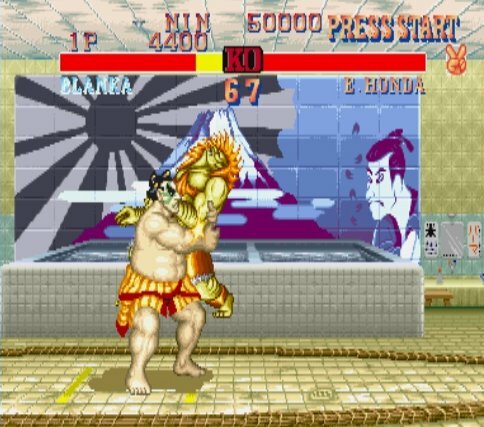 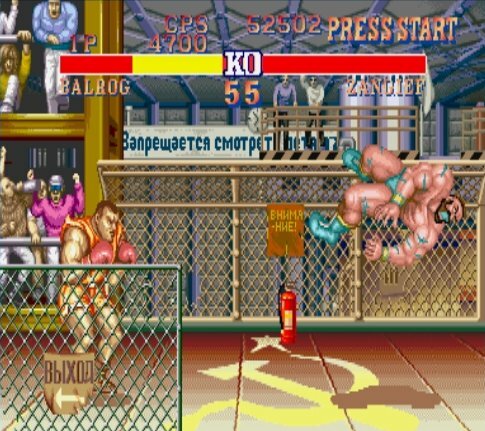 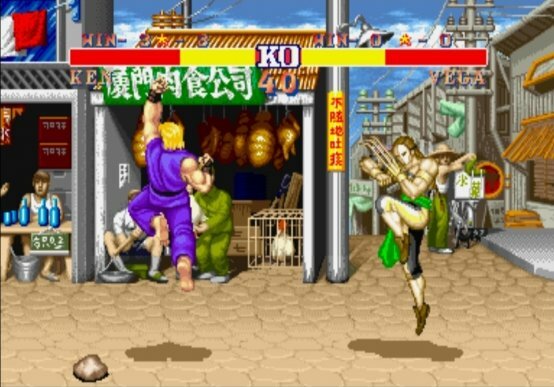 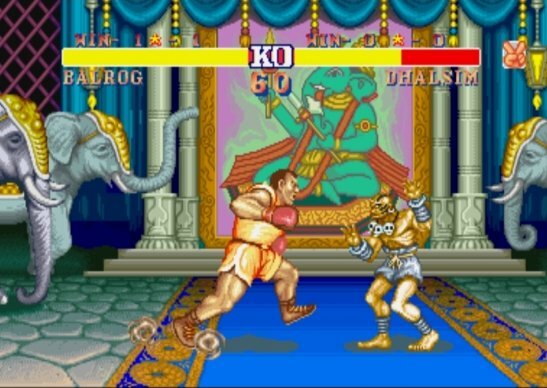 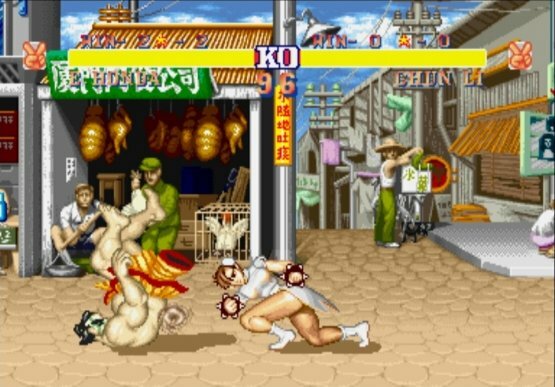 After the release of Champion Edition, unauthorized hacks of SF2 were popping up in some arcades, enabling faster gameplay and additional special moves. 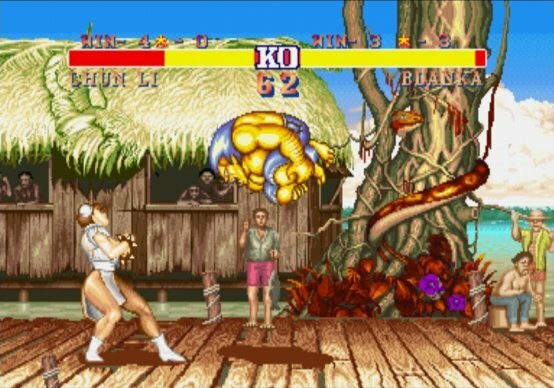 In response, Capcom released Street Fighter 2: Turbo or "Hyper Fighting", which increased the gameplay speed greatly. 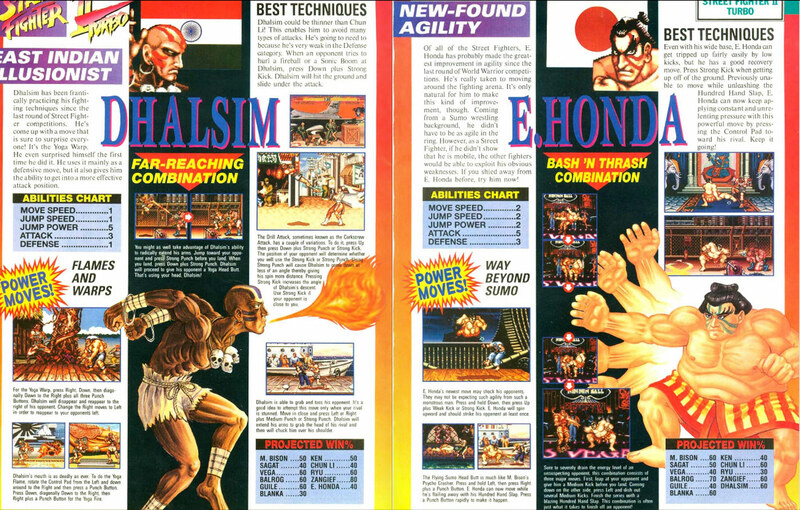 The console versions also included a speed setting which slightly altered the intensity of the speed increase. 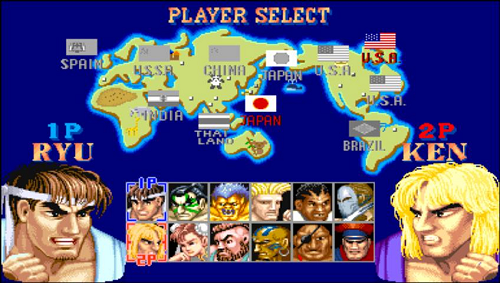 The main changes from Champion Edition to Hyper Fighting include: New (and better looking) character artwork on the character selection screen, the ability to select one new color (in addition to the SF2: CE color) per character, re-colored backgrounds/stages, and of course... a noticeable enhancement to the overall speed of the gameplay, which only intensified the classic mind games that the two previous Street Fighter titles became known for. 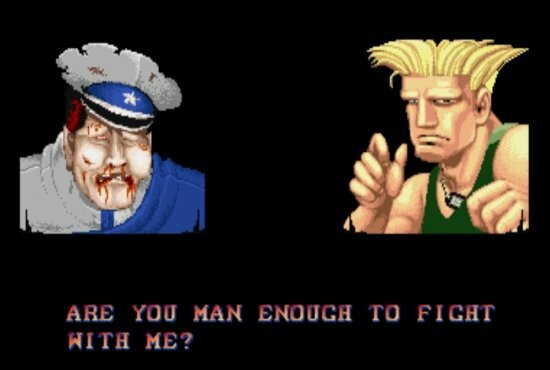 Additionally, all characters (with the exception of Guile, Balrog, Vega, Sagat & M. Bison) received at least 1 new special move. 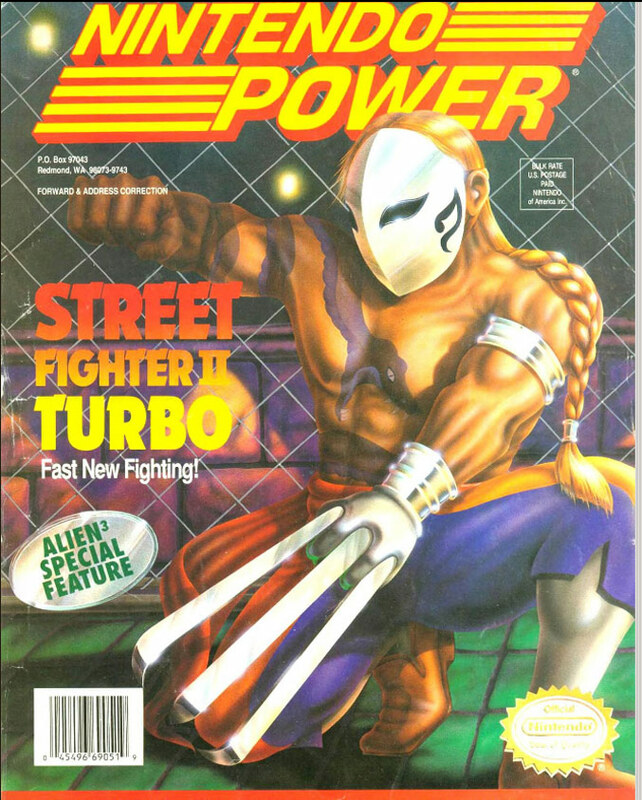 No, Street Fighter 2: Turbo didn't reinvent the wheel... why would they do such a thing in the first place? 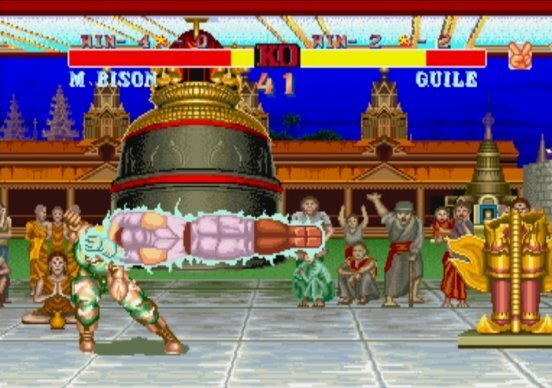 It's easy for a casual onlooker to say "not much has changed" in the world of Street Fighter 2, but common sense says "if it ain't broke... don't fix it." 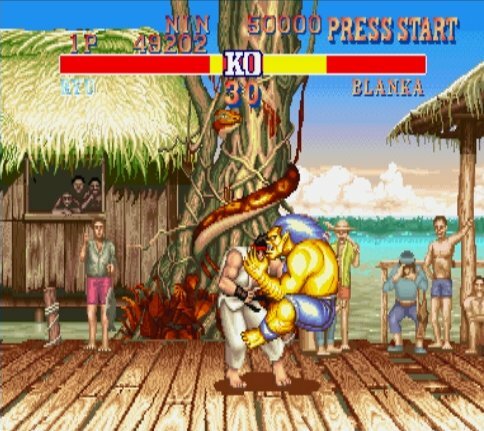 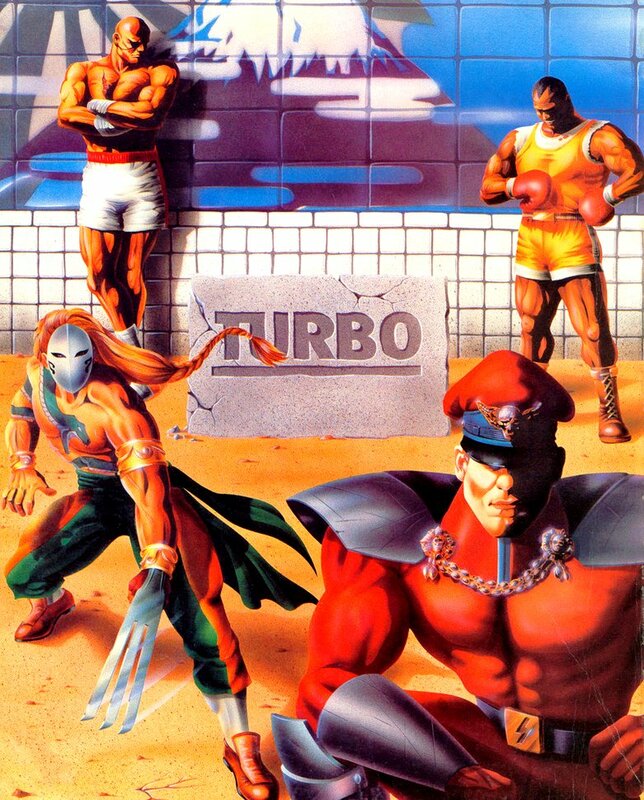 Street Fighter 2: Turbo was no doubt a must- have/must- play for any fighting game fan at the time, and was one of the best and most competitive fighting game experiences possible in 1992/1993. 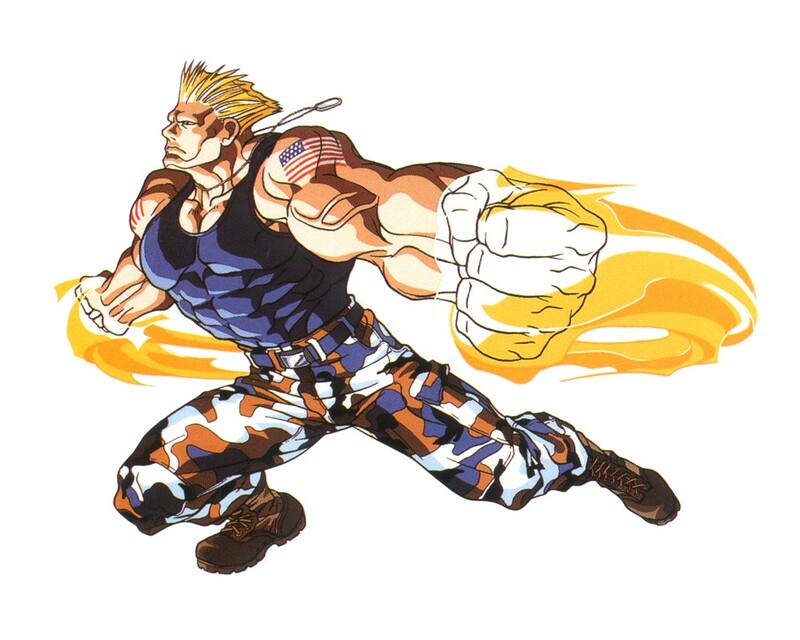 Try not to get Guile's theme music stuck in your head.... (won't work). 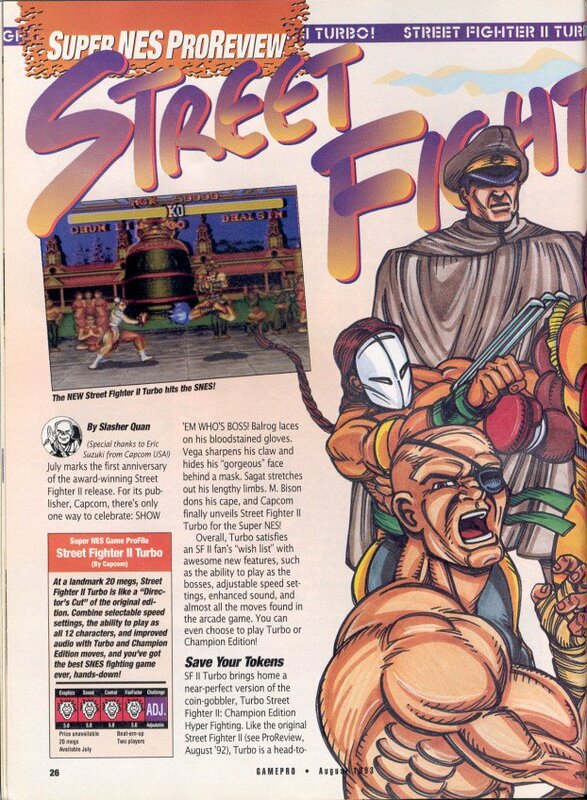 The first console port of Hyper Fighting came out on SNES, titled Street Fighter II Turbo. 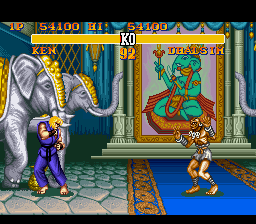 The highly-acclaimed SNES port also contained a port of the prequel, Champion Edition in the form of "Normal" mode. 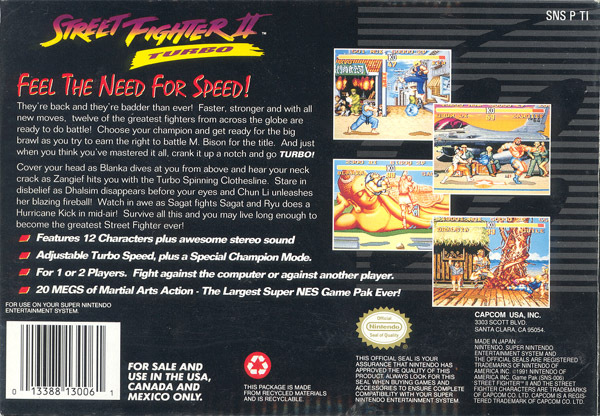 The SNES version's "play speed" setting can be adjusted between 4 different speeds by default, with a cheat code enabling up to 6 faster setting. 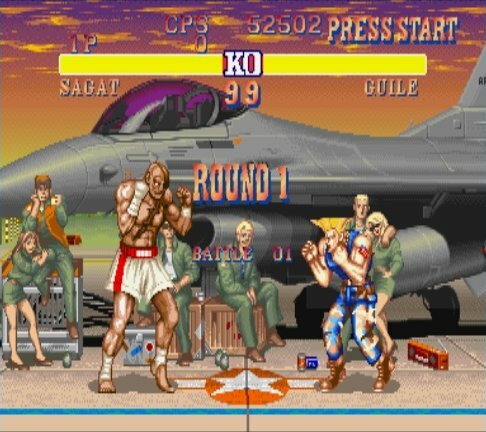 Other secret codes enable players to disable/enable specific Special Moves in VS Mode, in addition to play through 1-player mode with Special Moves disabled. 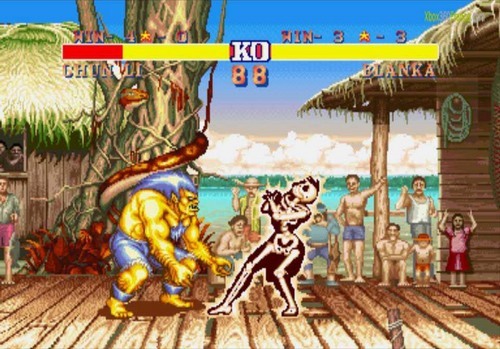 The Sega Genesis/MegaDrive version of Hyper Fighting was called Street Fighter II' Plus: Champion Edition in Japan and Street Fighter II': Special Champion Edition in North America and Europe. 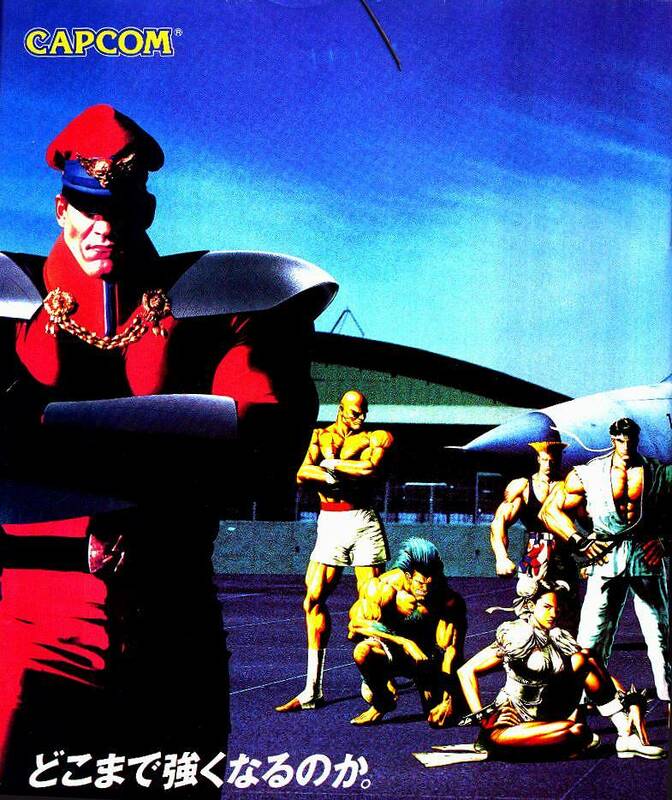 The Genesis version was originally planned to be a straight port of Champion Edition. 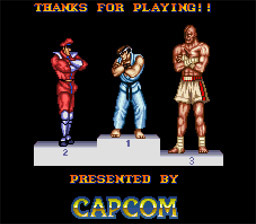 However, the game was delayed in order to make the graphics more competitive with the SNES and PC versions. 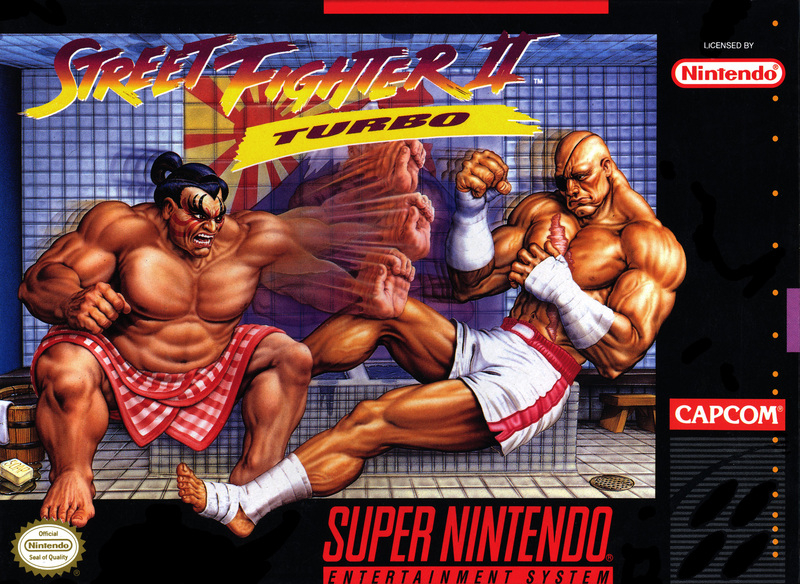 Content from the SNES version of Turbo was also added, resulting in the name changes to II' Plus and Special Champion Edition. 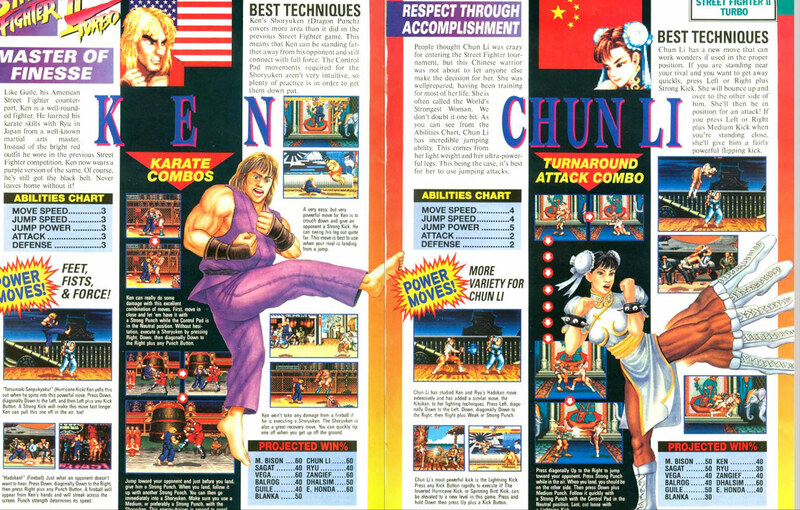 Special Champion Edition features "Champion" mode and "Hyper" mode, similar to the Normal and Turbo modes found in the SNES Turbo version. 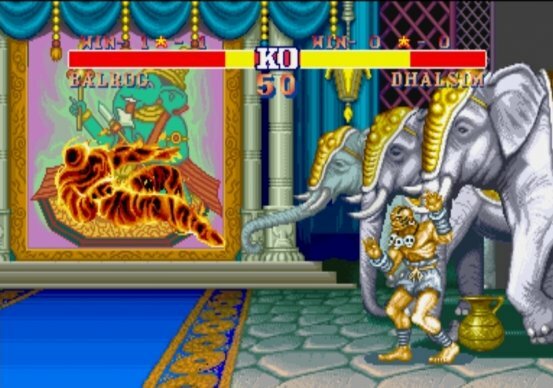 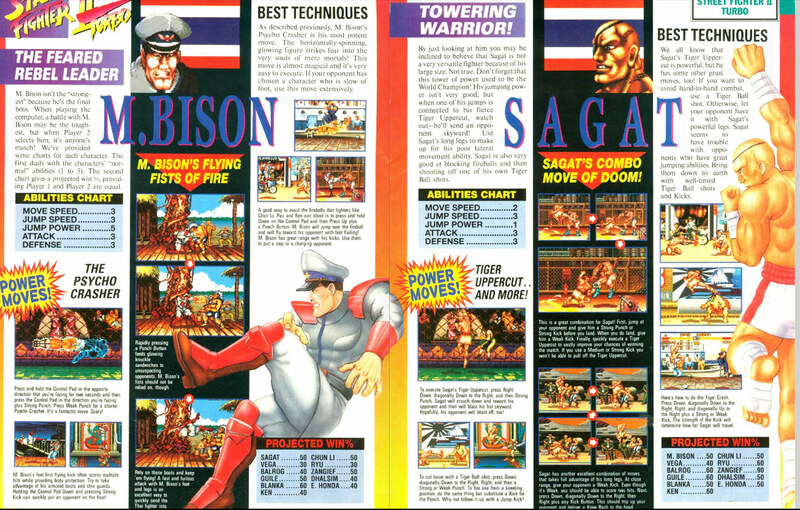 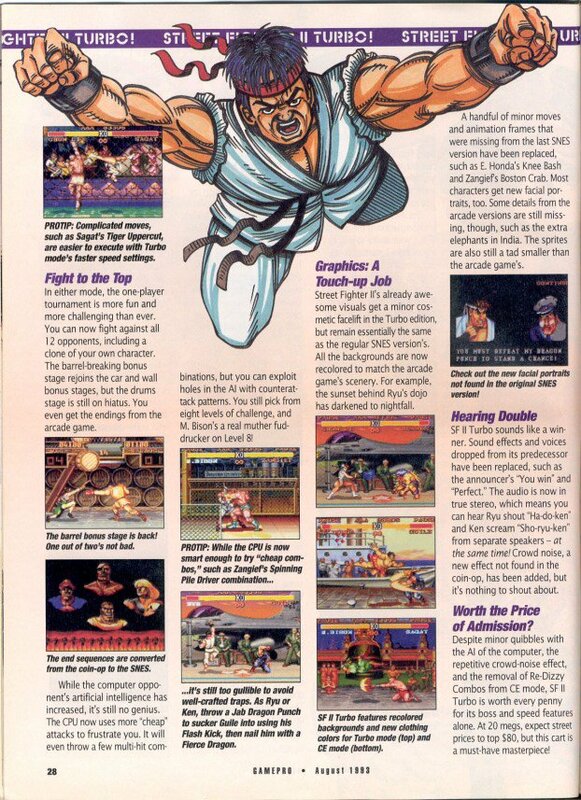 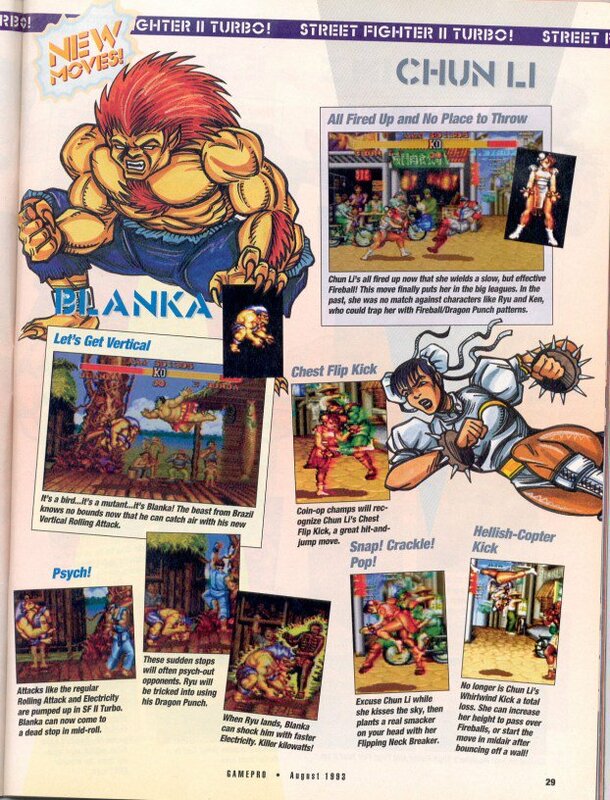 This version was also the first console version of a Street Fighter II to feature the original opening sequence (with two generic martial artists fighting in from of an audience). 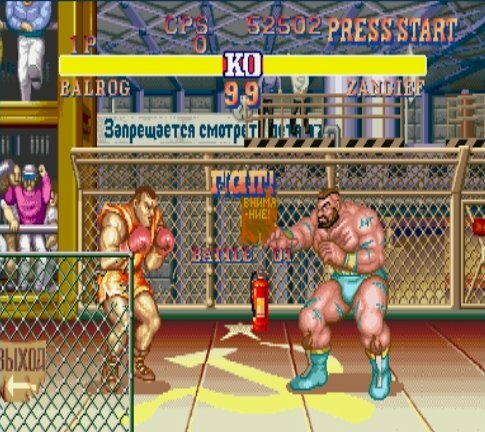 "Hyper" mode includes the 10-stars speed setting by default, which was only accessible in the SNES version through a cheat code. 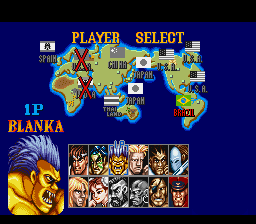 A secret code to adjust the speed setting in "Champion" mode was added as well. 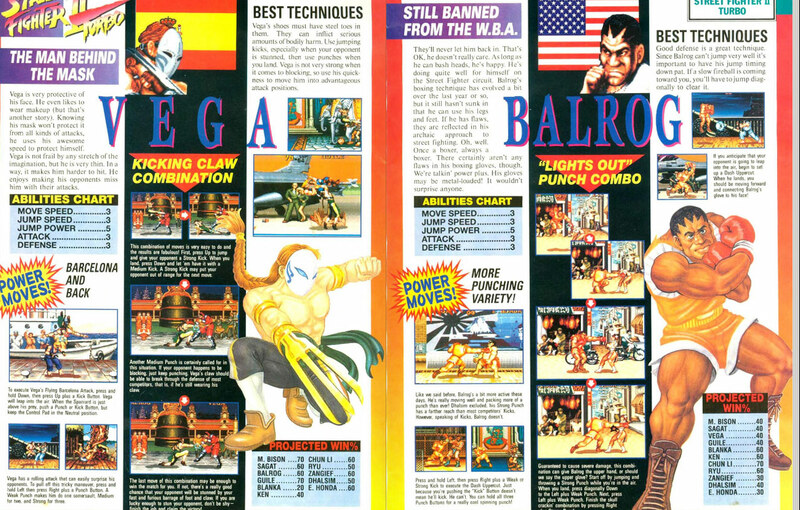 Special Champion Edition was also the only home version at the time of its release to feature "simultaneous button cancels". 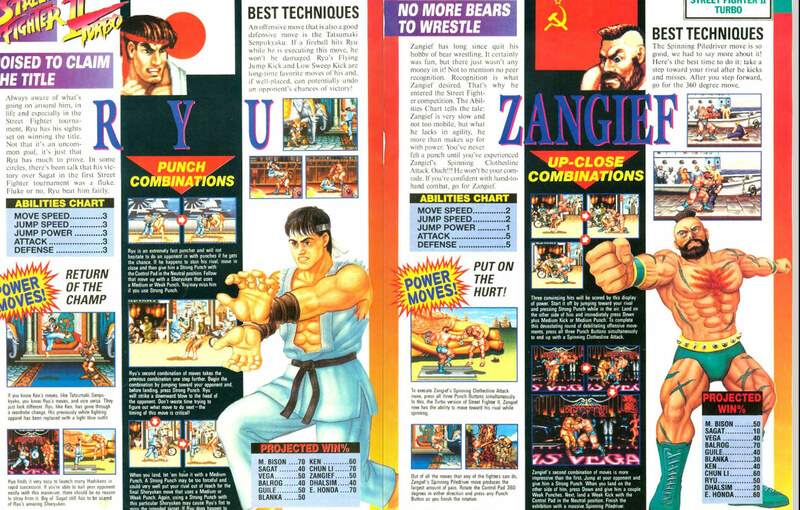 Did you really think Capcom would quit with Street Fighter 2 Champion Edition? 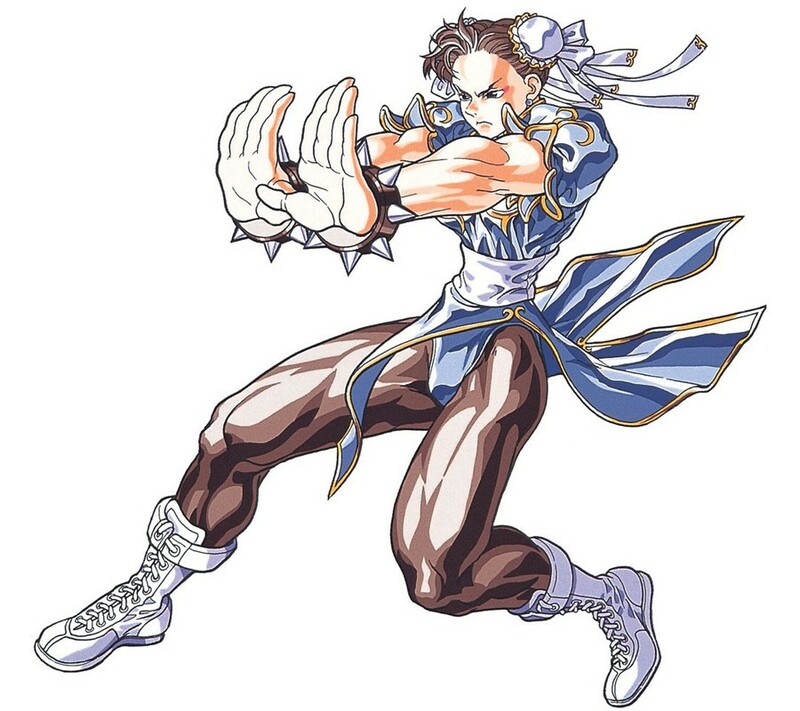 Capcom knew they had a gem, and they ran with it... no doubt a smart move. 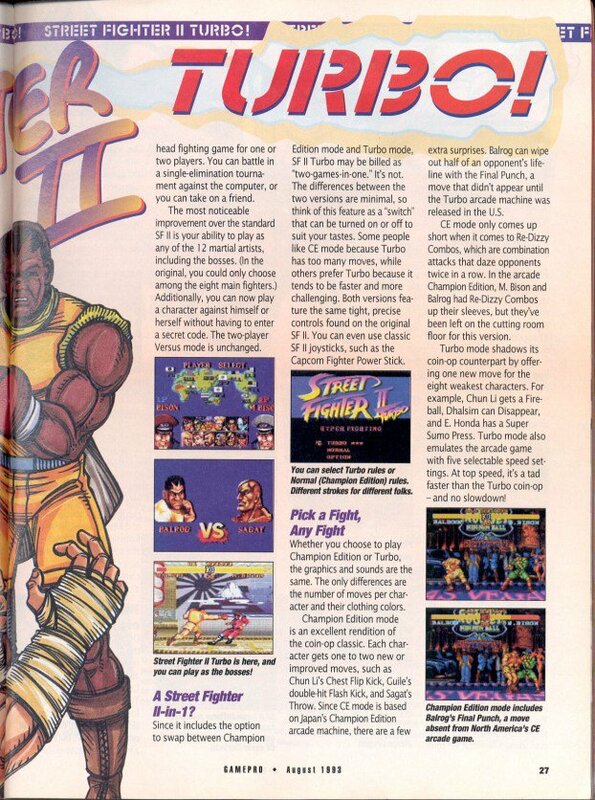 There's also no doubt that many fighting game fans (including myself) were naturally excited and overjoyed by this "shiny new" Turbo / Hyper Fighting update. 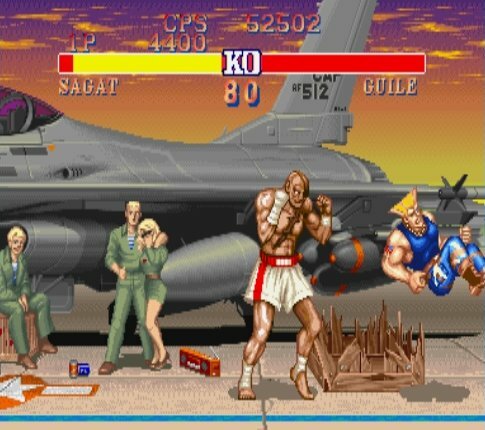 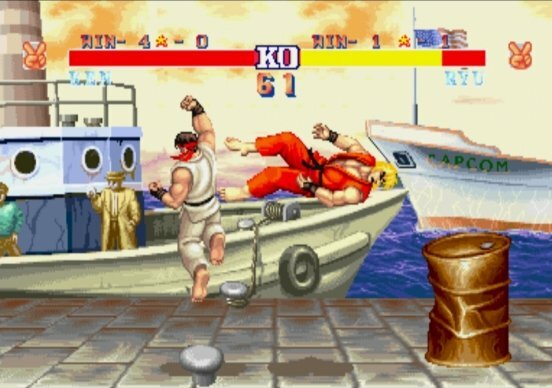 Thanks to this memorable updated version, SF2 remained as one of the top arcade and console fighting games of the early 90's. 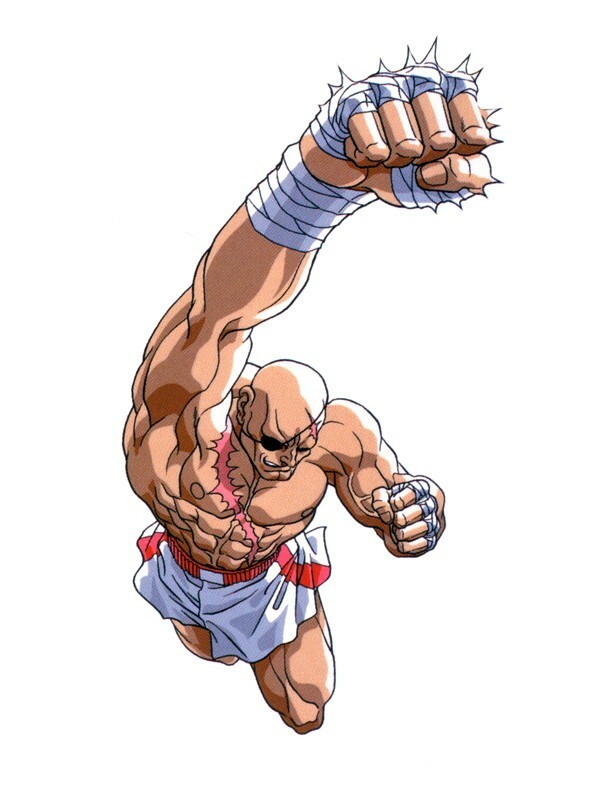 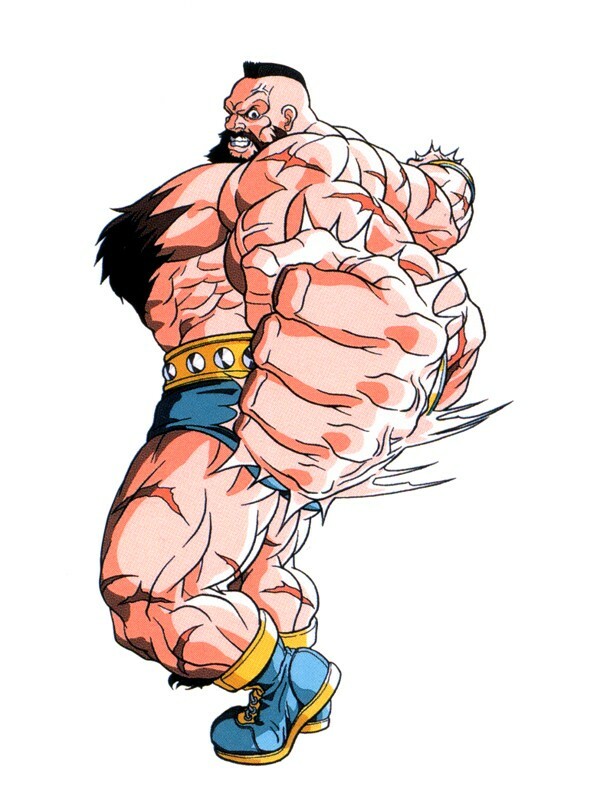 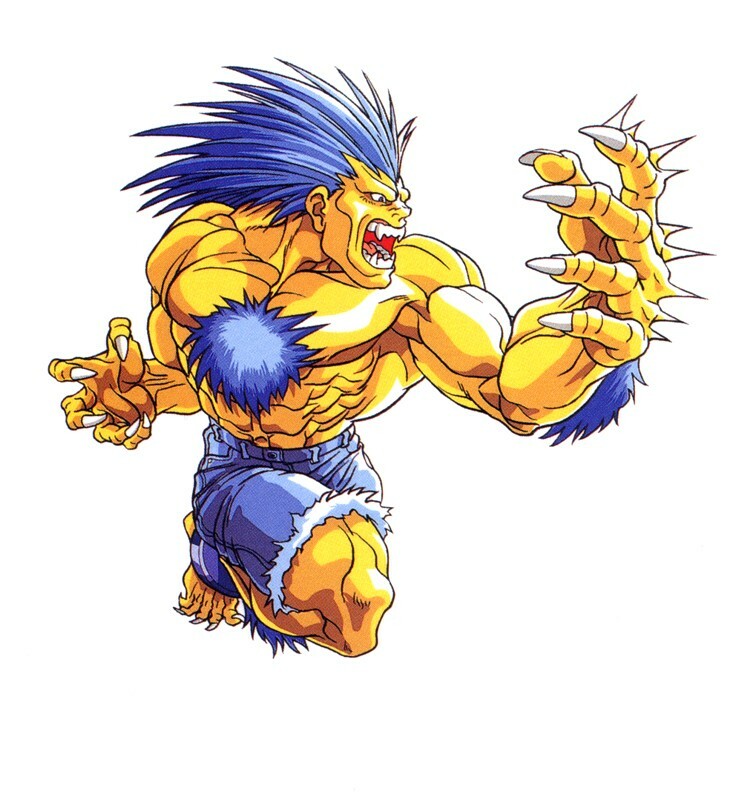 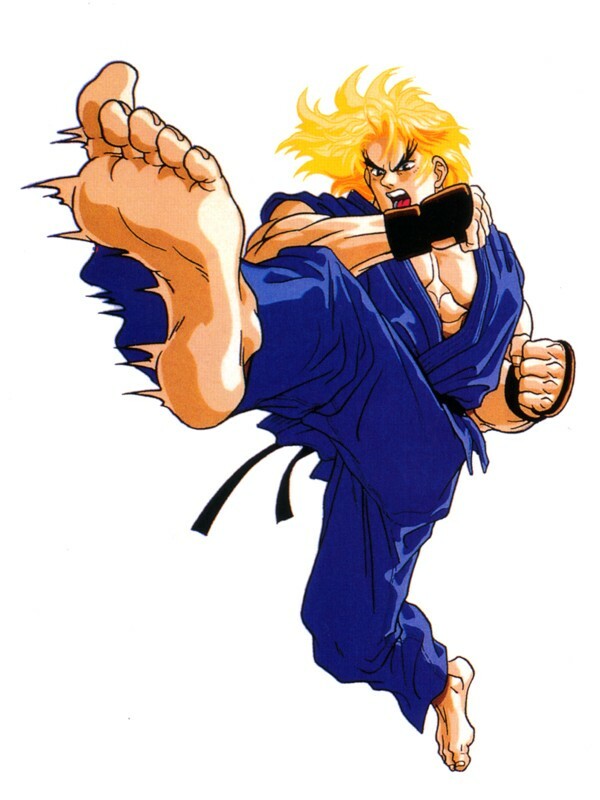 Also worth mentioning... the unique character artwork for SF2: Turbo (below) was particularly memorable, known for its sharp black lines and killer foreshortening. 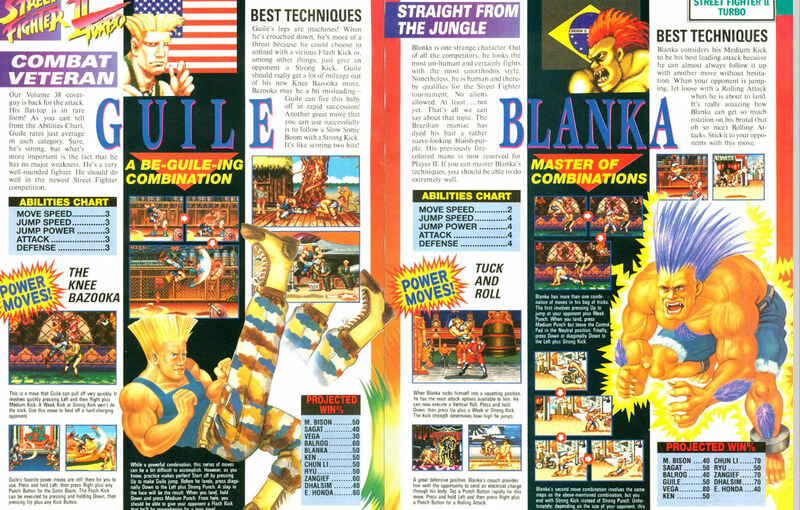 If you read any gaming magazines in the early 90's or picked up one of the official SF2 strategy guides, I know you know what I'm talking about. 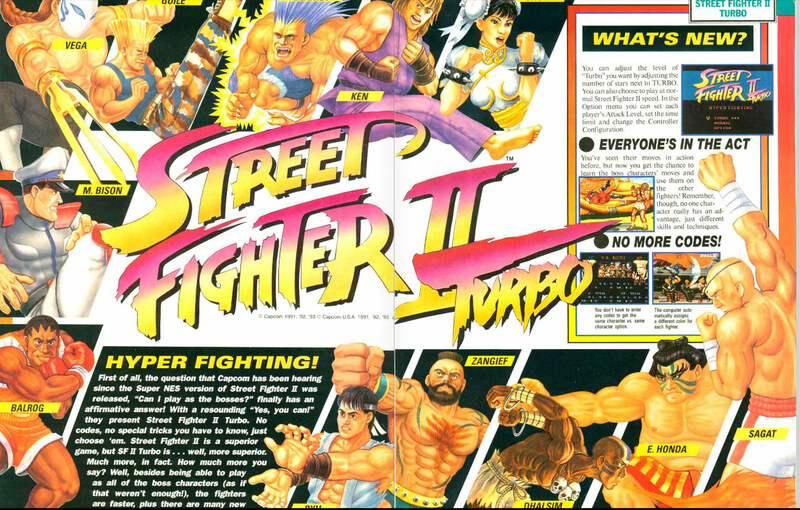 As a kid who loved to draw in the early 90's, I remember loving to just gaze at the artwork of SF2: Turbo (in addition to other installments). 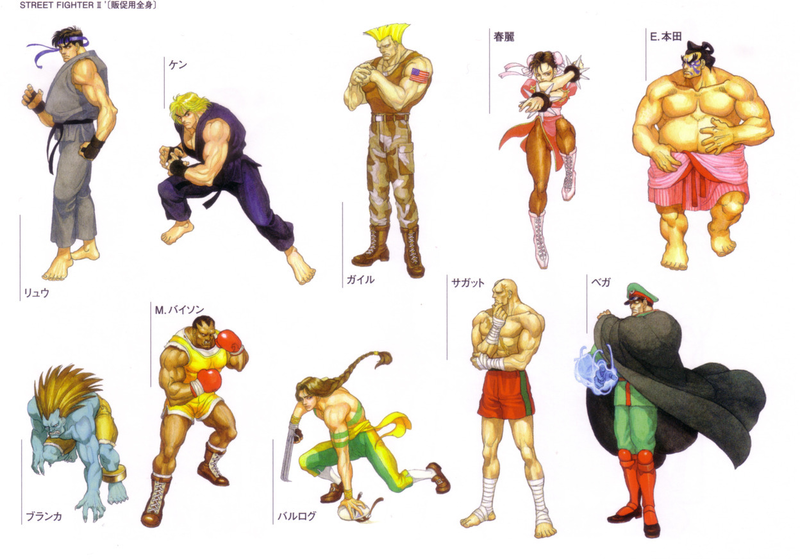 I still have quite a few Street Fighter sketches I did back in '92-'93.